Westside Theatre Reviews: Westside Theatre: "Your a Good Man, Charlie Brown"
Westside Theatre: "Your a Good Man, Charlie Brown"
For someone charged with evaluating a show, it is rarely good news that the production is “double cast” (has two separate groups of actors). 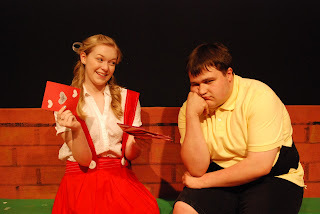 However, having seen the first cast of Beaverton Civic Theatre’s “You’re A Good Man, Charlie Brown” we were surprisingly enthusiastic about seeing the show the following week with a different set of actors. Veteran Director Milli Hoelscher’s unorthodox casting choice derives not from her inability to select the “best” cast, but from her ability to envision two very different productions of the same show, using actors whose age and theatrical experience vary wildly. July 20th, we saw the “Charlie” cast, comprised primarily of actors in their mid- to late-teens. July 27th, we saw the “Snoopy” cast, peopled by seasoned actors, some of whom bring decades of experience and formal training to the stage. And, of course, all of them are playing the roles of Charles Schulz’s “Peanuts” gang – five very young children and one world-weary beagle. “You’re A Good Man, Charlie Brown” is a musical about children, and it is accessible to young children (there were several in the audience, and they clearly enjoyed the show) but it is not, strictly speaking, a “children’s show” any more than the “Peanuts” comic is a “children’s” strip. Through a series of vignettes, some philosophically whimsical and some extremely funny, the actors explore the role of friendship and peer relations in guiding children down the often-confusing path toward adulthood. Jimmy Holland’s “Charlie Brown” anchors the show with convincing angst; his fine singing voice shines in both ensemble and solo vocals. 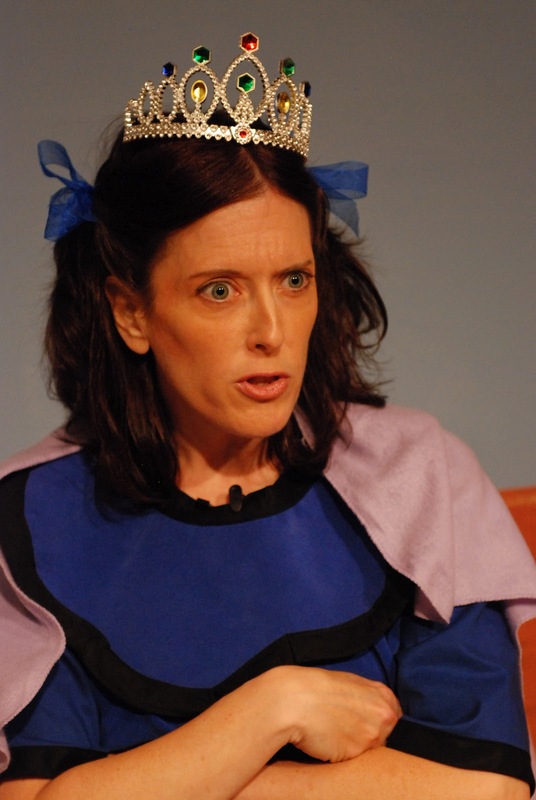 Whitney Martin (“Lucy”) plays Charlie’s nemesis to the hilt – brash, brazen, and self-centered. Her extensive theatrical background really shows – she projects a great speaking and singing voice, and her comic timing is excellent. Mitchell Kelly (“Schroeder”) creates the proper intellectual feel for a child prodigy, while reacting with boyish horror to Lucy’s undying passion. BCT veteran Scott Kelly (“Snoopy”) gets the best laughs, many in response to his flamboyantly physical dancing and his comic delivery, particularly when he howls. Rafe Larsen (“Linus”) is also a scene-stealer when he dances – his gangly frame and supple partner (his cherished blanket) allow him to explore a variety of terpsichorean oddities to great comic effect. Last, but by no means least, Ashlee Waldbauer (“Sally”) brings to the role a charmingly childish locution with a solid singing voice and an impossible level of cuteness. Advance note to directors planning a show for July, 2016 – do NOT schedule your opening for the same date as the opening of the summer Olympics! The “Snoopy” cast’s first night audience, a small but mighty band of theater lovers, was treated to a gold medal performance that not only shone, it sparkled. The vocal ensemble work is polished and powerful – by itself, worth the price of admission. Music director Josh Pounders (who also plays Snoopy) is to be congratulated for his fine work in shaping the vocal dynamics of this gathering of experienced talent. 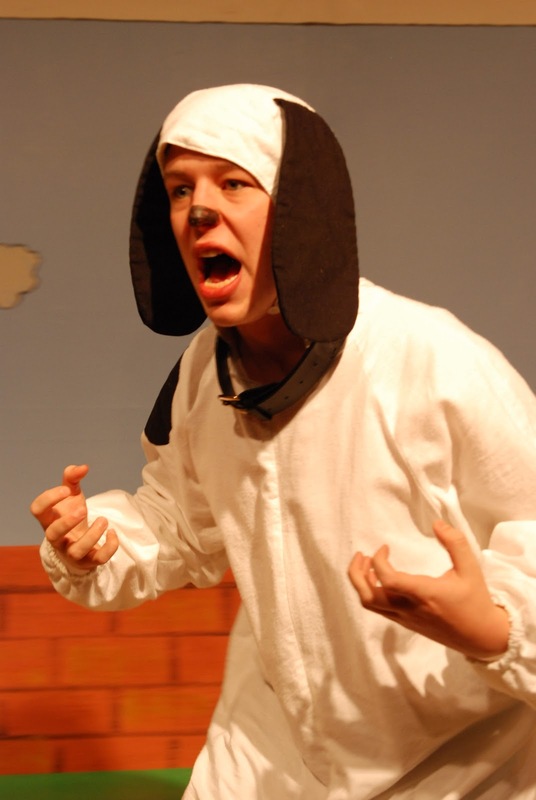 Pounders’ performance as Snoopy is also impressive – his jerks, twitches, and scratching capture the essential “dogness” of the role, his fine tenor voice anchors much of the vocal ensemble, and he delivers a truly memorable Red Baron monologue. Nick Hauser’s Schroeder is unlike any we have seen before – he brings to the role an intensity that made us really believe he is obsessed with Beethoven and all things arcane (especially his Robin Hood soliloquy in “The Book Report”). Beth Noelle (“Lucy,”) while hopelessly enamored of Schroeder, never loses sight of her primary obsession with herself. She IS the queen, and never allows the audience to forget it. Lucy’s little brother Linus, as portrayed by Lincoln Thomas, is wise beyond his years and provides a perfect foil to his sister’s egomaniacal ranting. Jessica Reed (“Sally”) is simply hilarious – her timing is precise, vocal inflections spot-on, and she shows great skill in physical comedy. 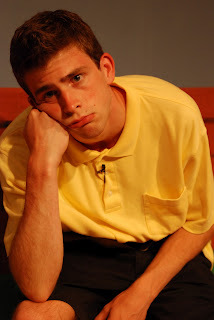 Tom Young is superbly cast as Charlie Brown – alternatively pathetic, philosophical, self-effacing, yet eternally hopeful that despite evidence to the contrary, things will somehow work out right. Young is a fine actor who brings a surprising depth of character to this comic-strip role. Accompanist David Rivas is the only performer who appears in both casts, and for this we are immensely grateful. He is a superb musician whose deft piano work moves the show along as surely as Hoelscher’s fine direction. The sets are simple but effective, appropriate to the minimalist style of Schulz’s comic strip. The two casts are alternating dates throughout the run of the show, so there is ample opportunity for “Peanuts” fans, musical theater buffs, and those wishing to introduce their kids to live theater to see either (or both!) casts. 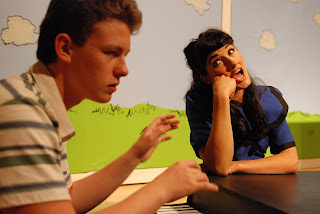 “You’re A Good Man, Charlie Brown” is playing at the Beaverton City Library Auditorium through August 5th. Remaining performances of the “Charlie” cast are 8/3 at 8:00 p.m. and 8/5 at 2:00 p.m. The “Snoopy” cast appears 7/27 at 8:00 p.m., 7/28 at 2:00 p.m. and 8:00 p.m., 7/29 at 2:00 p.m., and 8/4 at 2:00 p.m. and 8:00 p.m.